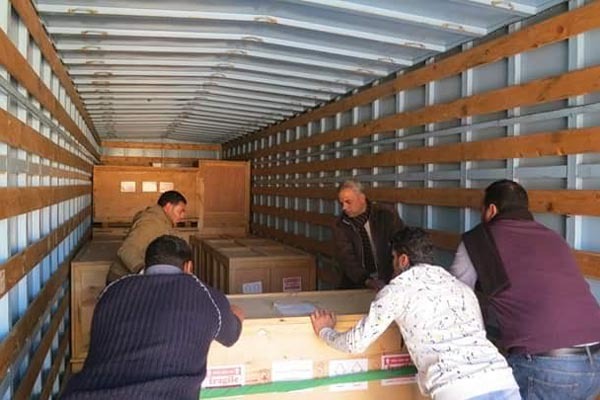 A batch of 778 artefacts will arrive at the Grand Egyptian Museum (GEM) overlooking the Giza Plateau on Thursday from Luxor to bolster the museum. The GEM is home to a permanent collection of antiquities that were carefully selected from different sites and museums around Egypt. 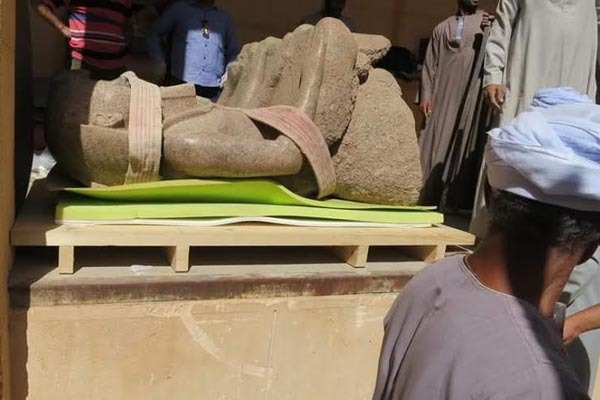 GEM general supervisor Tarek Tawfik told Ahram Online that the objects to be delivered to the museum were previously stored in Ali Hassan and Abul-Goud's archaeological galleries in Luxor, as well as in archaeological storehouses in Esna. Tawfik explained that the objects will be restored upon arrival to prepare them for permanent exhibition in the GEM by the time of its soft opening planned for 2018. The artefacts were carefully protected and secured by the Tourism and Antiquities Police durin transfer. Tawfik added that the objects are dated to different dynasties of the ancient Egyptian era, but the majority belong to the New Kingdom. 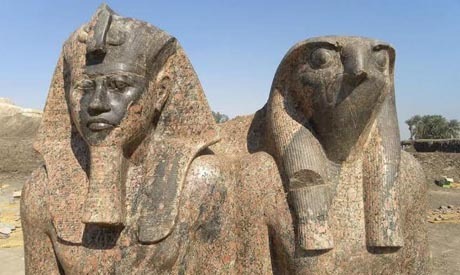 The most important pieces are the red granite colossus of king Amenhotep III with the god Horus that weighs four tonnes. The statue is planned to be put on display on the GEM's grand staircase. Also among the transported objects are a collection of clay pots and pans as well as a collection of painted sarcophagi. Eissa Zidan, the general director of restoration at the GEM, told Ahram Online that preliminary restoration work has been performed on some objects in situ in order to guarantee their safe transportation from Luxor. The packing was carried out in accordance with the latest technology. Zidan said that the antiquities were transported in special trucks equipped with electronic devices that control of the level of humidity and heat around the objects as well as the prevent any movement during transportation.